Youth instruction at Blissful Meadows is organized around the learning styles of juniors. They are natural imitators. They learn by watching and doing. That is why we emphasize the sequence of instruction or demonstration, skill-building through coaching, and challenges with contests and games. We feel this is the best approach to helping juniors learn the golf swing and how to play. Our clinics offer a variety of challenging and fun activities that incorporate the instruction the students receive into an enjoyable learning environment. The following areas are covered. We emphasize the importance of the fundamentals of grip, alignment, posture and stance-all in an atmosphere of games and activities. 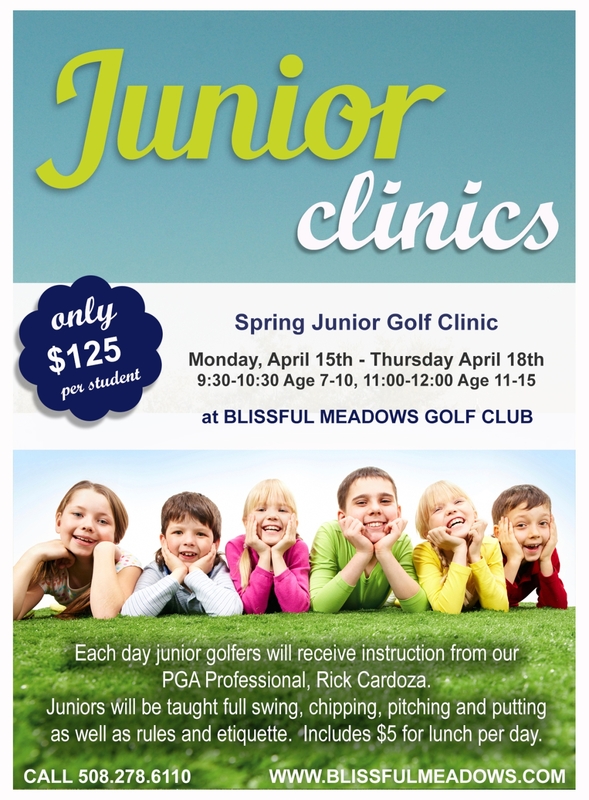 Our goal is to introduce juniors to golf, help them learn to play, and watch their enjoyment of the game grow. Bring your child (age 15 and under) and they play FREE!